In the last blog posts, you've learned how to load images from various sources and how to use different kind of placeholders. This week's blog post is important if you cannot influence the size of the image to be loaded: resizing and scaling! Generally it's optimal if your server or API deliver the image in the exact dimensions you need, which are a perfect trade-off between bandwidth, memory consumption and image quality. Unfortunately, it's not always in your control to request images in the perfect dimensions. If the images are in a weird size you can use the resize(horizontalSize, verticalSize) call to change the dimensions of your image into a more suitable size. This will resize the image before displaying it in the ImageView. When using the resize() option Picasso will also upscale your image. Since making a small image bigger without improving the quality of the image can be wasted computing time, call scaleDown(true) to only apply the resize() when the original image has larger dimensions than the target size. .onlyScaleDown() // the image will only be resized if it's bigger than 6000x2000 pixels. Now, as with any image manipulation, resizing images can really distort the aspect ratio and uglify the image display. In most of your use cases, you want to prevent this from happening. Picasso gives you two mitigation choices here, either call centerCrop() or centerInside(). CenterInside() is a cropping technique that scales the image so that both dimensions are equal to or less than the requested bounds of the ImageView. The image will be displayed completely, but might not fill the entire ImageView. The discussed options should cover your needs for functionality regarding image resizing and scaling. There is one last helper functionality of Picasso, which can be very useful: fit(). fit() is measuring the dimensions of the target ImageView and internally uses resize() to reduce the image size to the dimensions of the ImageView. There are two things to know about fit(). First, calling fit() can delay the image request since Picasso will need to wait until the size of the ImageView can be measured. Second, you only can use fit() with an ImageView as the target (we'll look at other targets later). The advantage is that the image is at the lowest possible resolution, without affecting its quality. A lower resolution means less data to be hold in the cache. This can significantly reduce the impact of images in the memory footprint of your app. In summary, if you prefer a lower memory impact over a little faster loading times, fit() is a great tool. In this blog post, you've learned how to make adjustments to the size and display of images. This should be very helpful for creating great apps. 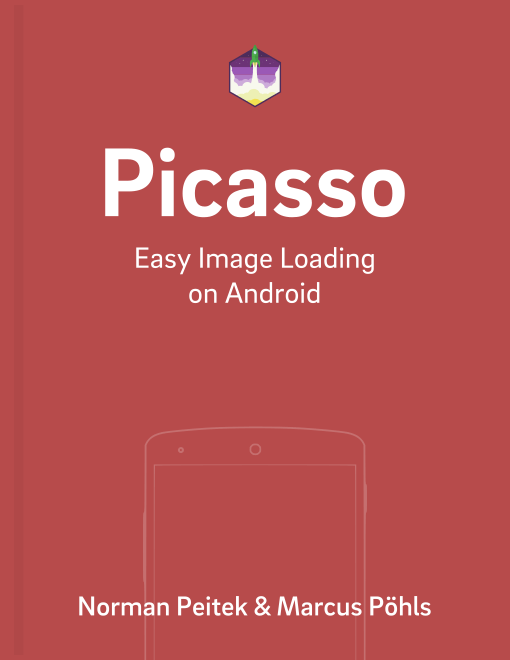 There is one more tool to make the images in your app feel even more fluid: loading important images first. Picasso offers that functionality with request priorities, which we'll describe in the next blog post.